Have you guys met Joy? 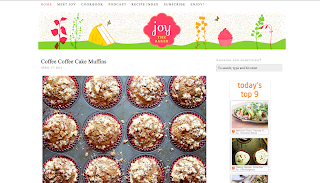 Joy the Baker? You totally should. I haven't met her, met her but I visit her blog everyday. Here's a screen shot of her site - click on it and it will take you to her. She's a clever writer, bakes great things, and takes pretty pictures of food. 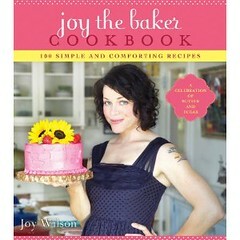 She also just came out with a cookbook. I need to buy it. That's my suggestion for you today. Thanks for the suggestion - love hearing about new sites like this. Going to take a look now!